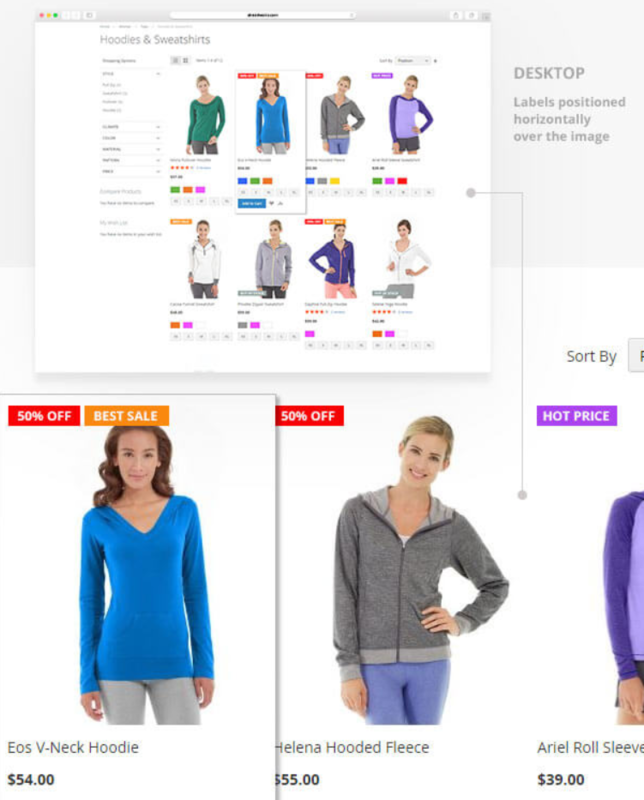 Different labels can be created per a store view. With the Product Labels extension, you can place badges over the product images in various positions, as well as next to the product price. Besides, it is possible to add multiple labels to the same product and set the maximum number of labels applied to a product. To avoid overlapping of a few badges, you can set the margin between them. 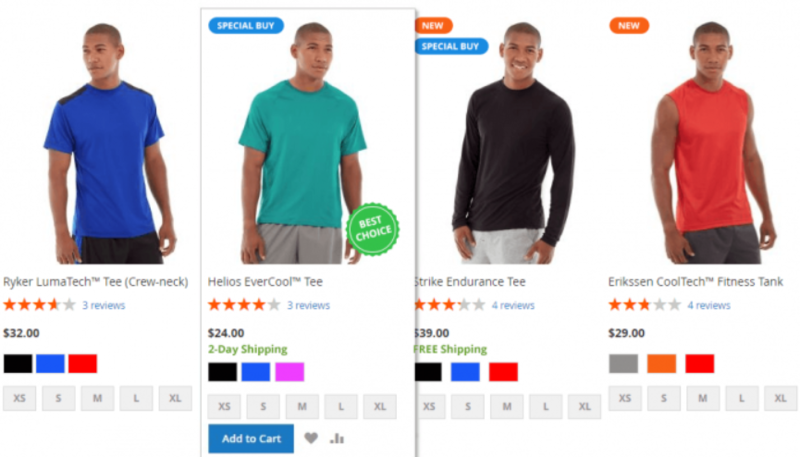 You also decide whether labels will be placed horizontally on a product image or vertically next to the price. The tool allows you to customize the design of your labels to fit perfectly into your store. There are three types of labels to choose from: CSS objects, images, and text. This way, you can use only text or text with the background for your catalog if you prefer to keep your website design simple. Note that placing labels next to the price is always a good solution for any design. For more vivid visual look, you can use pre-configured CSS shapes or upload an image to apply as a badge to your store items. 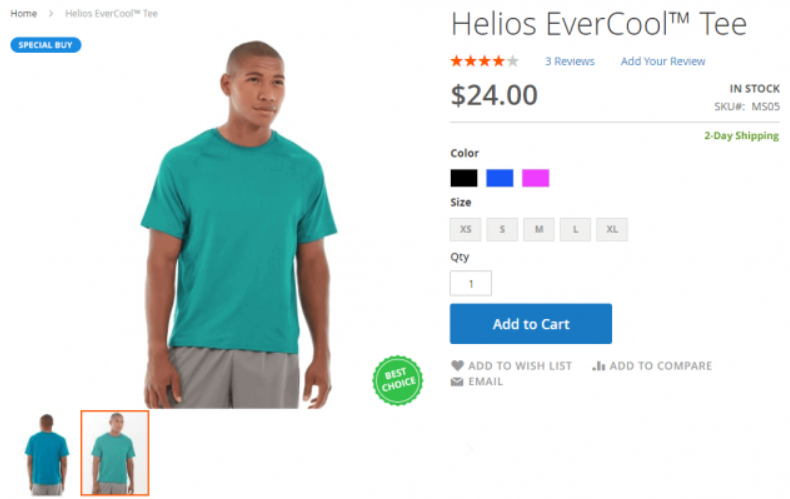 Besides, Product Labels for Magento 2 provides sufficient editing tools letting you create your own CSS-based forms, customize label texts, shapes, and colors, and view the results before using them on your storefront. Moreover, you can utilize variables for the text labels. Thus, you don’t need to have special design skills to create any label you wish and can save your time and effort on this task. 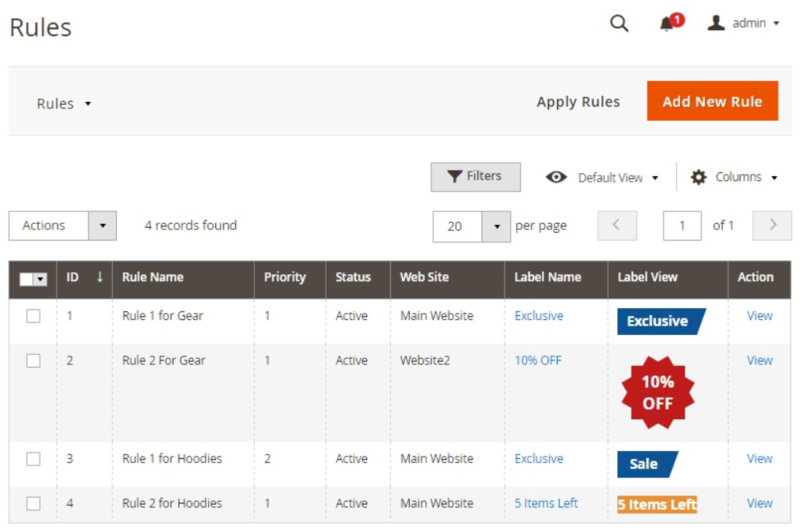 As for the labels display rules, the Magento 2 module allows setting flexible conditions based on product attributes or stock level value and create an unlimited number of rules. Besides, it is possible to prioritize each label rule, set the duration for the label display, and select customer groups for which a label will be visible and websites where it will be applied. This way, the extension enables you to specify different label texts depending on a store view, which is very convenient for multilingual websites. As for the backend management of the labels display and their rules, it is very straightforward and doesn’t require much effort. 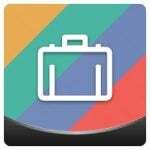 Using the extension’s labels grid, you can quickly tweak the labels’ position, assign new rules, or delete selected labels in bulk. 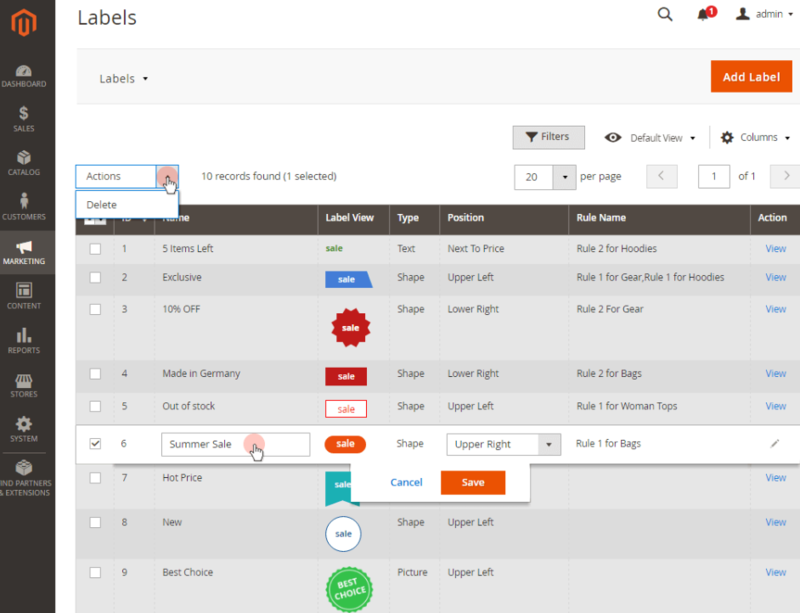 Another grid provided by the Product Labels module allows managing label rules, deleting and replacing labels on the go. 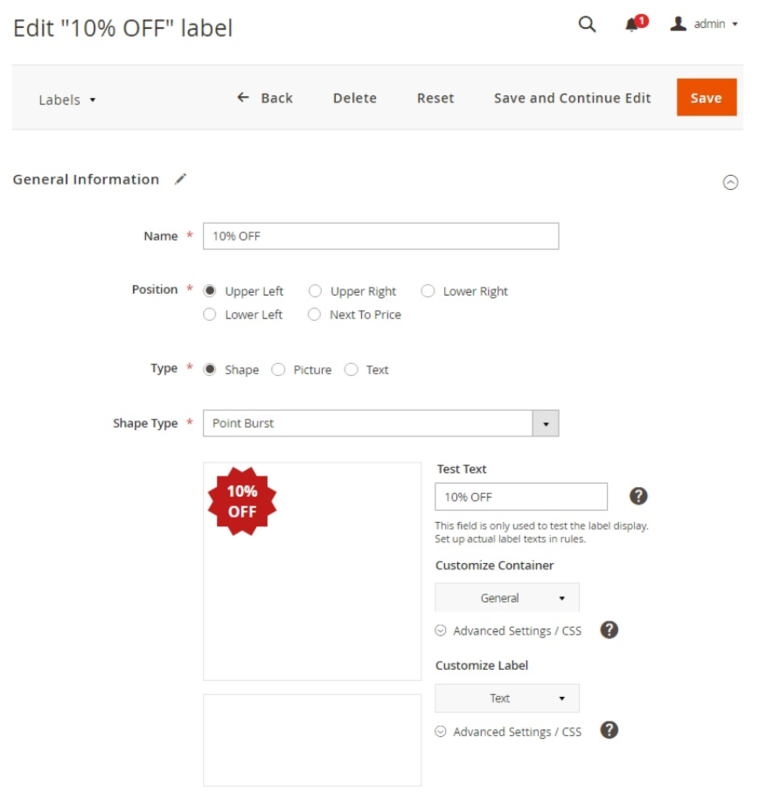 First, let’s see how labels are created with the Magento 2 Product Labels module. 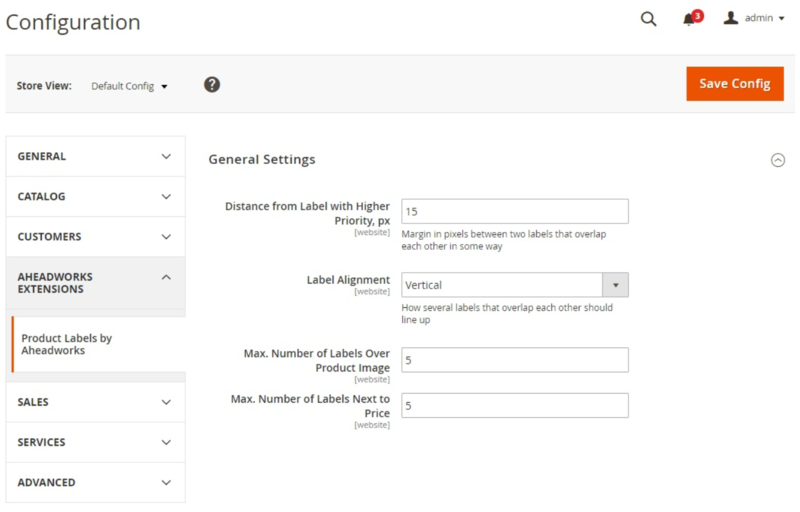 By navigating to Marketing -> Product Labels by Aheadworks -> Labels, you will access the grid with all created labels. The grid contains the following columns: ID, Name, Type, Rule Name, Label view, Position, and Action. It is possible to change the title and position of a selected label right in the grid by clicking on the relevant label record. You can also delete labels in bulk, as well as edit each label by clicking View in the Action column. To create a new label, click on the ‘Add Label’ button. When editing a label, you can change its name, position (there are five options available), and type (Shape, Picture, or Text). If you want to use CSS shape, you can select its form from seven different options in the Shape Type drop-down. Then, specify a text on the label. Note that here you enter the text, which is visible in WYSIWYG editor, for testing purposes only. Customize Container and Customize Label settings are configured for CSS shape parameters, allowing users to tweak the label’s color, width, and text. After creating a label, go to Marketing -> Product Labels by Aheadworks -> Rules to set the display rules. The Rules grid shows each label rule’s ID, name, priority, status (active/inactive), a website where it is applied, the name of the assigned label, and label look. From the Action column, you can open each rule if you want to view or modify it. The grid allows changing a rule’s title, priority, and status by clicking on the appropriate row right on the grid. It is also possible to delete applied labels and assign new ones without leaving this page. Available mass actions let you delete and change statuses of the selected rules and replace labels in bulk. On the ‘Edit Rule’ page, you can enable/disable the rule, change its title, the assigned label, priority, store view, customer groups that can see it, and validity period. 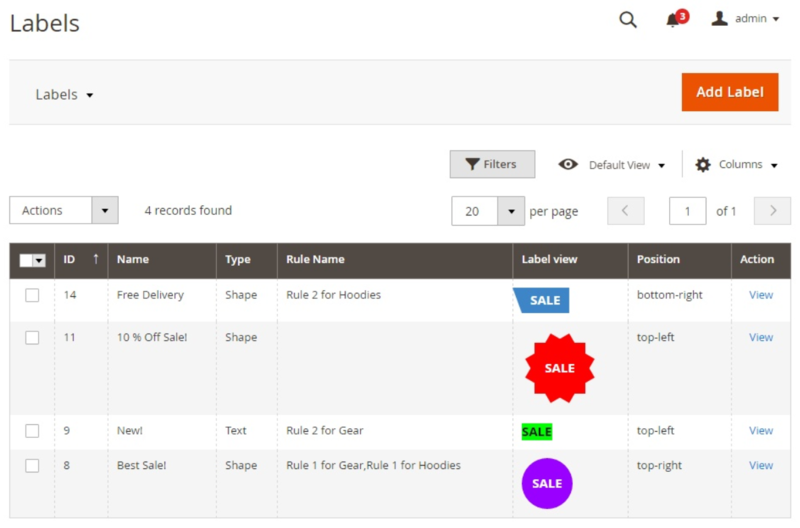 In Frontend Label Text, you can create different rule names per each store view. Then, there is the Product Conditions section, where you select attributes for individual products or product groups to which the rule should be applied. You can also display labels based on the stock range rules by setting the interval of the stock value. As for the Magento 2 Product Labels extension’s general settings, they let you configure four options. First, specify the distance in pixels between two labels with the same priority to avoid overlapping their margins. 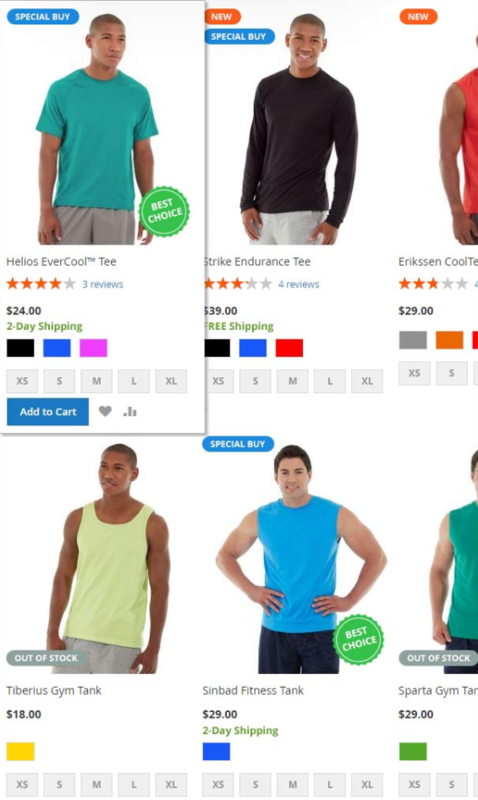 Then, select label alignment (horizontal or vertical) and enter the numbers for the maximum allowed quantity of labels over one product image and next to the product price. 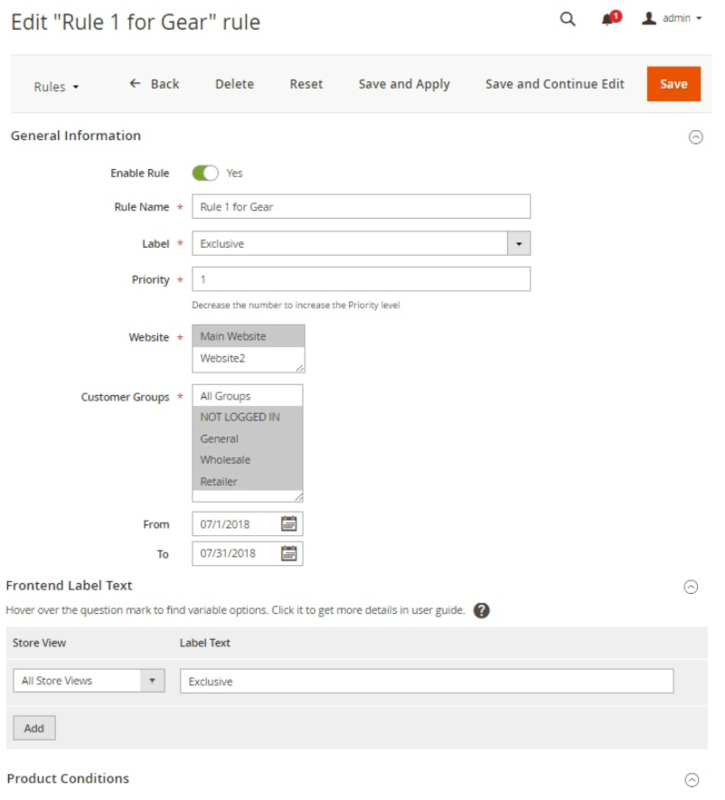 The Magento 2 Product Labels module’s rich functionality enables merchants to advertise specific goods, as well as create multiple campaigns for a group of products using customizable labels. The extension’s backend flexible settings allow users to configure the correct display of labels on the frontend to draw the attention of website visitors to specific products. 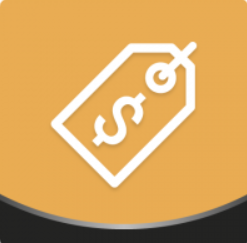 The tool lets you tweak product labels depending on your goals, whether to inform customers about new arrivals, promote special offers, or emphasize products quality.